Welcome to Perfect Parallel. We are a software technology company focused on integrating the real world and the virtual world in a way that has never been done before in a sporting context. 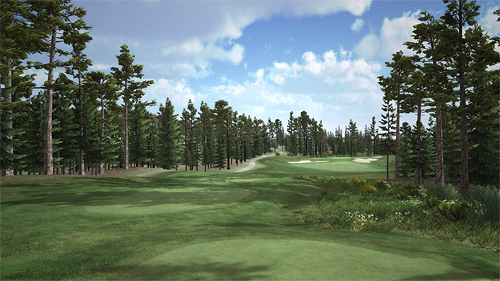 We create the most realistic compelling, fully geo referenced virtual representations of golf courses available. This process enables us to integrate real world data into our virtual environments like never before. Perfect Parallel was formed in 2011 with one goal in mind, To change the way that real world environments (including golf courses) could be digitally created in photorealistic detail using real world data. We then developed the tools to showcase this created content and can now even play games on them! To bring this dream to reality we have created a suite of custom software including CourseForge, TerrainForge, Broadcast Suite and PerfectGolf. 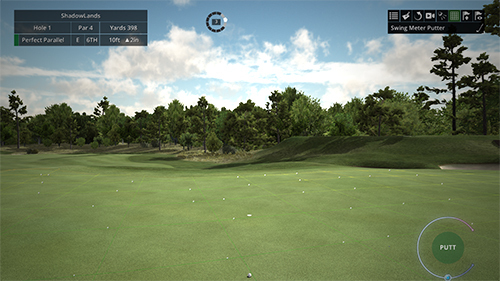 TerrainForge makes it easy to capture real world data and turn it into a format we can use as a base for our virtual worlds while CourseForge enables us to create the golf course quicker and more accurately than was ever possible before. Perfect Golf, our first gaming title to come out of our Studio is currently in "Alpha Testing". We will continue to develop the game eventually moving to an "Early Access" release on steam. Already featuring a full multiplayer with automated resume, real time weather system based on user specified location and a variety of device options from the classic swing meter to mouse swing, launch monitor and simulation equipment, Perfect Golf will be playable by all. Broadcast Suite was developed to take our award winning graphics and enable them to be showcased to a live audience around the world. Our virtual golf courses and flybys have been used on Broadcast TV to bring unparalleled realism to both Sky TV Europe and ESPN for their Masters coverage as well as being used on the PGA Tour website for the Tour Championship at East Lake. Our software engineers come from an extensive background in AAA games programming and should you need something that is not on our current list of services it's likely that we will be able to provide a solution for you. Our content creation team has over 15 years of combined digital golf course creation experience and team members have worked with many of the top real world golf course designers including Nicklaus Design, Greg Norman Design, Fazio Design, David Kidd and many more to create digital representations of their plans and help bring their projects to fruition. Now for the first time we are offering our course creation services to private clubs at an amazingly low price. Check out our services page for more details.